This morning, Nintendo’s press briefing provided a new glimpse of how the new Super Smash Brothers is shaping up, and things look good. Nintendo made a few big announcements regarding the new Smash Bros. game. Amiibo, Nintendo’s endeavor into the NFC environment was announced to have some functionality with the game and it will be the first title on WiiU to use the new figures. In regards to new fighters, Nintendo introduced Mii fighters to the catalog. 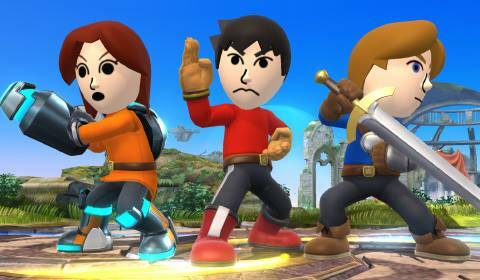 Mii’s can take on one of three different play styles. First, the brawler class is a close ranged melee style where your Mii will use hand-to-hand combat to put down enemies. Next, the Swordfighter Mii fights using swords similar to Link, and Marth. Last, the Gunfighter Mii will use ranged combat with a blaster much like Megaman and Samus. Before the end of the Smash Bros. presentation, we were treated to an anime style bout between Link and Pit, which lead to the reveal of yet another character, Lady Pelutina from Kid Icarus fame. Super Smash Brothers will release on the Nintendo 3DS on October 3, 2014, with the WiiU following close by in the Holiday 2014 time frame. 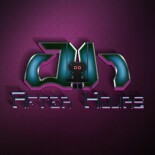 Keep it here for more news as E3 progresses. This entry was posted on 06/10/2014 by smosley777 in Gaming After Hours, Handheld, Nintendo and tagged E3 2014, Nintendo, Nintendo Direct, Nintendo Wii U, Super Smash Bros.